The Village of Union Grove welcomes you. We’re ideally located at the intersection of U.S. Highway 45 and Wisconsin Highway 11, only five miles west of Interstate 94. 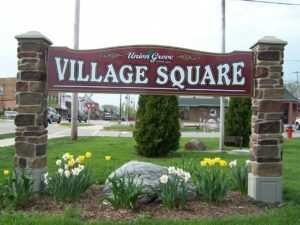 Union Grove is located close to a few larger cities (and many conveniences) while maintaining the small town feel. We hope you enjoy the stay and find your visit pleasant. Putting it plainly, the Village of Union Grove is a great place to live. Our schools are top-notch, our people are friendly and we always have something interesting going on in the community. Our summers feature incredible car shows, the street dance, a wonderful Fourth of July Parade and we’re the proud host of the Racine County Fair. Check out our Farmer’s Market in the fall and join one of our recreational leagues in the winter. No matter where you are in town, you’re within minutes of a grocery store, pharmacy, events and several establishments serving up great food. We invite you to cruise through our website to learn more about us. 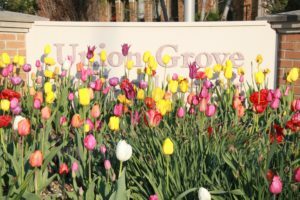 The Village of Union Grove… a growing community with small town charm!